Lost valuable data from USB flash drive? Use SysTools USB Drive Data Recovery Software to get all your data back from USB Drive. It is an advanced tool that can recover and retrieve data from USB memory/ USB Flash Drive even after formatting it. The software can recover lost documents, photos, audio, video or any other multimedia item from any brands’ USB Drive. 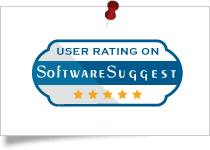 CNET gives SysTools USB Drive Drive recovery software a 4 star rating for its best performance in recovering usb Drive Data. It enables to recover permanently deleted files from usb drive with 100% accuracy & safety. 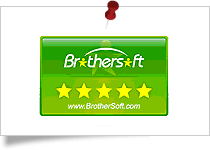 SysTools USB Flash drive recovery software get 5 star rating from BrotherSoft for its excellent service in recovering data from corrupted usb Drive stick. 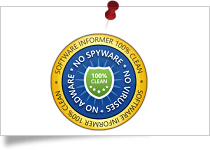 The software support permanently deleted data recovery from usb drive. 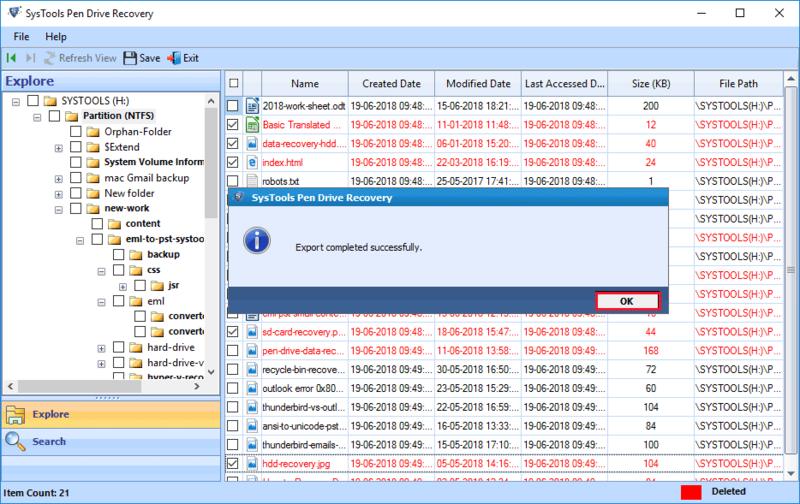 The SysTools USB drive recovery software has been tested by Softpedia for deleted data recovery from usb drive. After anaysing all features, it states that the software is capable to recover permanently deleted files from usb. 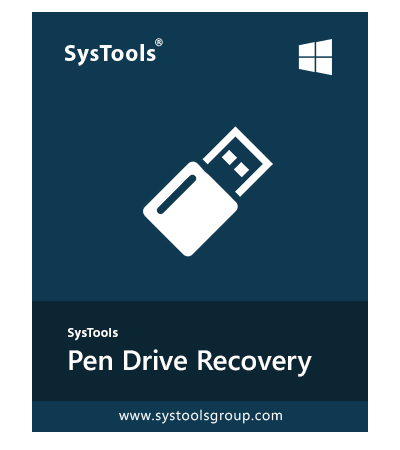 USB drive recovery tool by SysTools is rated with 4 stars by SoftwareInformer for efficiently recovering deleted or lost data from any usb Drive. The Software can retrieve lost files after formatting usb drive stick quickly. 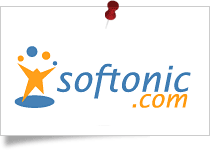 SysTools USB Flash Drive recovery software states as the advanced usb Drive recovery software by Softonic. The tool restore any kind of information that may have been deleted, lost or corrupted within a standard usb drive. Software Suggest states SysTools USB Flash Drive Recovery software is the best tool for recovering deleted usb Drive data without any data loss. Use this software and recover files after formatting usb drive. Somewhere in our career, we all face data loss conditions from USB Drives. But, from now recovering or restore lost data from USB Flash Drives will be no more a difficult task as SysTools has developed USB Drive Data Recovery Software. After analyzing the software on an expert level, I found the operation speed of the software is very high and the interface is simply understandable. After using it, users will found their investment paid off. Data loss from a usb drive or flash drive is such a common issue encountered by several users. SysTools USB Drive Data Recovery Software is one of the best way to retrieve lost data from corrupted or logically damaged usb drives. The software is capable enough to recover and export missing, lost, formatted or corrupted data files from FAT, exFAT, and NTFS formatted external usb drives of any brand and size. No matter how your data was lost from USB Drive and what’s its size, the USB Drive Recovery Tool will recover all of it. As a non-tech user, I always face difficulties while operating third-party tools. However, its user-friendly interface helps me a lot to recover formatted files from USB drive even without disturbing the original hierarchy of files and folders. I appreciate the work done by the team to develop this efficient tool. Due to some logical errors, my USB Drive got corrupted and I lost all the vital data. After a deep analysis, I came across this USB Drive Data Recovery Software. First, I installed its Demo version and I found it works great to recover deleted files from USB drive. And then, I purchased its Full Version and recovered all my lost data without facing any kind of hurdles. Eventually, all I want to say is ‘SysTools you nailed it’. Container or content corruption are common issues with USB Drives and other memory drives. Corruption usually occurs when a requested process cannot be completed due to logical or physical issues with a flash memory chip. Despite this, there could be several other factors that may result in data loss from USB Flash Drive. USB Flash Drive Data Recovery Tool is a professional utility to recover and restore corrupted data items from USB drives. This is an automated software with a highly responsive graphical user interface. It performs quick USB Drive recovery and lists all the recovered data items in its preview pane right after scanning the USB Flash Drive. Data can be lost from a usb drive due to accidental partition formatting, hardware failure, and any other reason. USB Drive Recovery Software can quickly and effectively recover data from formatted USB Flash Drive even without losing a single bit of data. In addition, the tool does not affect the original hierarchy of data and recover all the formatted data from USB Stick along with its original folder structure. USB Drive data Recovery Software is designed in such manner that it can retrieve and restore data from all brands USB drives regardless of their size. It supports the recovery of data from Patriot, Kingston, SanDisk, Verbatim Pinstripe, PNY, Samsung, Toshiba, Corsair Survivor Stealth, Transcend, Sony and all other famous USB Drives. This is one of the safest and fastest solutions to recover data from USB drives and no matter what causes data loss. USB Flash Drive is an essential method to transfer and hold documents, videos and other media. But, as good as they are, USB Drives can occur problems due to technical and physical flaws like NAND write/erase cycles, environmental factors, incorrect removal etc. These all factors make USB Drive inaccessible. USB Drive Recovery Tool is a professional and completely secure solution to recover corrupted files from USB flash drive quickly. USB Drive Recovery Software has the capability to recover and export complete data from USB Flash Drive. First, it scans the whole USB Drive and lists complete recovered data. After that, users can export and save the data in a desired location in the system. With the help of USB drive data recovery tool, one can recover normally deleted files as well as folders from USB Flash Drive. Sometimes users delete their crucial files and folders from USB Flash Drive accidentally or intentionally. However, with USB drive data recovery tool the permanently deleted data also can be recovered even without any hassle. 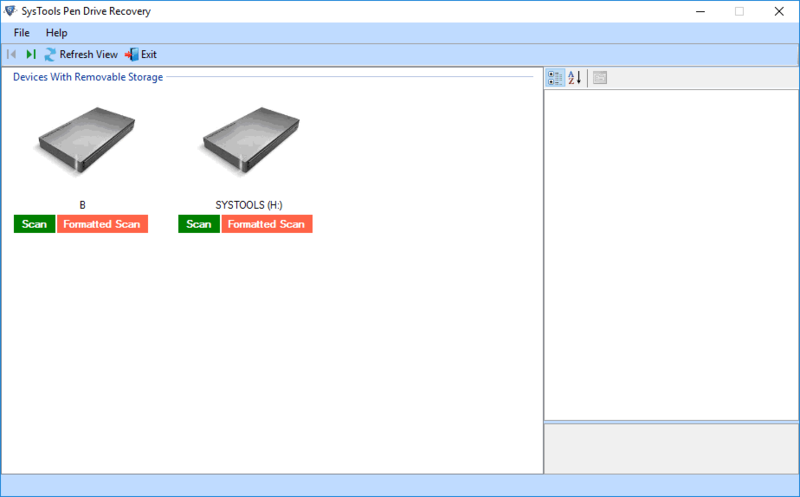 The tool scans entire USB flash Drive and loads all the recovered data in its preview panel. In order to avoid users inconvenience, the tool highlights permanently deleted data in red color. There come times when users need to format their USB flash Drives. Well, it is essential also as it cleans the USB Drive and makes it virus free but, losing data is a serious disadvantage of doing so. However, from now one can recover and restore data from formatted partition of USB Drive. The USB Drive Data Recovery Tool recover formatted files from USB flash drive. It supports the recovery of audio, video, documents, PDF, PPT, photos, and all other multimedia data items regardless of their size. USB Drive Recovery Software comprises a powerful search feature that enables users to find the desired files or folders from the recovery results. One can search a particular data file, just via entering a term matching the file name or file extension. Using this feature, one can extract and export required files only from the entire USB flash Drive data. The USB drive data recovery tool is designed in such a manner that it can recover and restore data from USB flash drives using FAT, exFAT, and NTFS file systems. No matter, if the lost data is corrupted, formatted or deleted, it can recover all. The tool performs complete file recovery even without resulting in any kind of data loss. 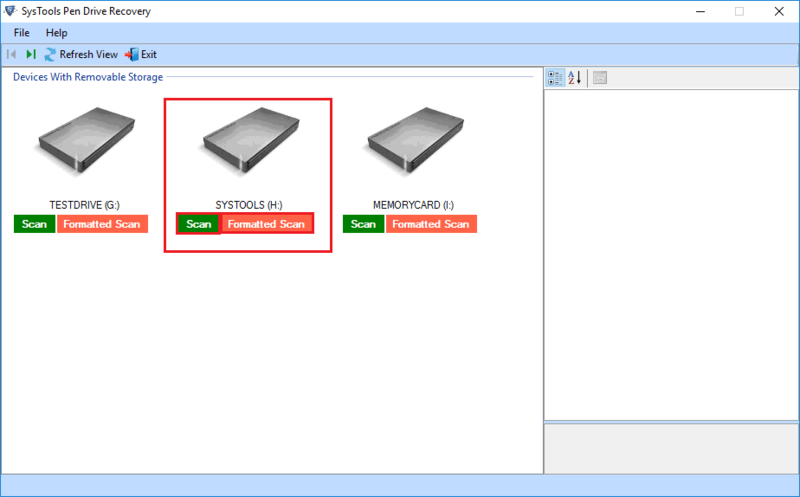 Right after connecting the USB drive in the system, the tool auto-detect and displays all the attributes of USB flash drive such as Total Space, Device ID, Device Model, Device Size, File System Type etc. After hitting the Scan button, the USB drive recovery tool starts scanning complete USB Drive and displays the current progress report in percentage. 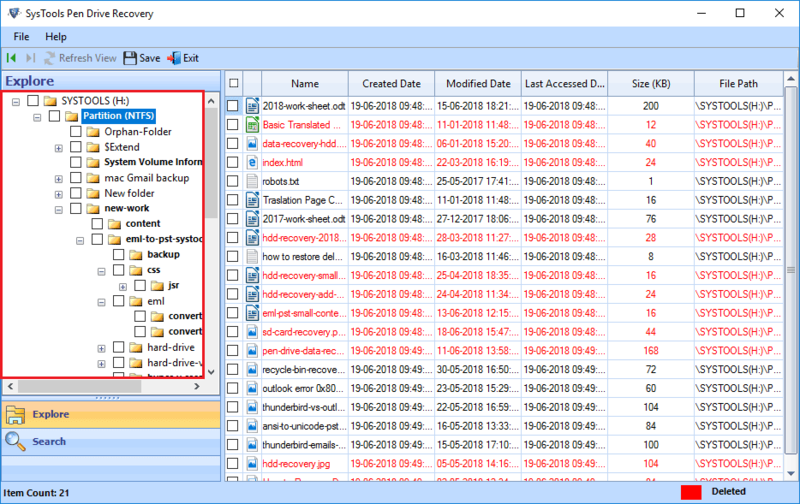 After installing and operating the USB drive data recovery tool, it displays all the connected detectable devices. In order to detect a newly attached USB flash drive, it provides a Refresh option. The respective USB flash Drive connected to the system will be displayed in the software panel. Users can proceed to data recovery with the desired scanning option. 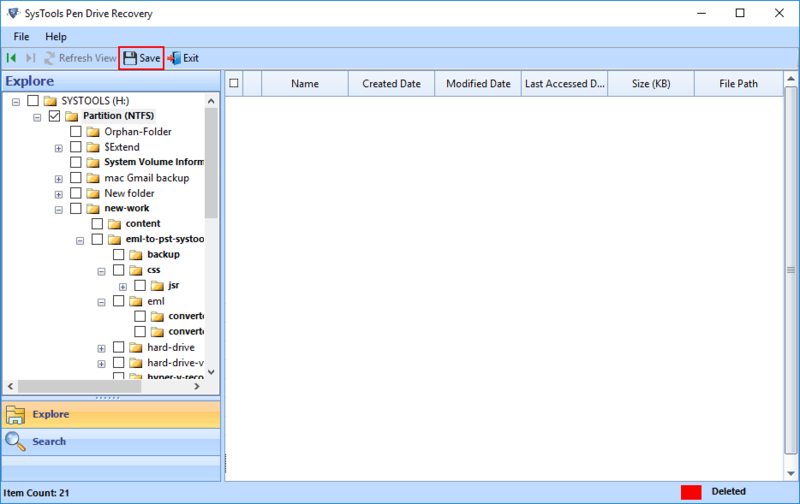 The USB Drive Data Recovery Tool allows to export some selected files/ folders instead of exporting complete recovered data. However, if users need to save the entire recovered data then, this also can be done using this USB drive file recovery software. In addition, this is a Windows-based tool that is compatible with all the versions of Windows OS. 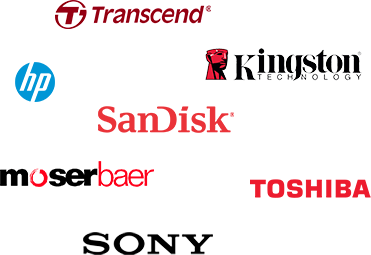 Supports Brands Like – SanDisk, HP, Moser Baer, Kingston, Sony, Toshiba, etc. Find the Answer to Your Questions: How to Restore Lost Data from USB Flash Drive? How to retrieve deleted files from a USB Drive? How much data can I recover using this USB Drive Recovery Tool? “I gave my 32 GB USB Drive to one of my friends and he accidentally formatted it. Now, I need all the formatted data back anyhow. Does this tool allow me to recover 32 GB data in a single go? Or else, there is any size limit to recover data?" Yes, You can recover entire formatted data in a single attempt using this USB flash Drive Data Recovery Tool. Also, the USB Drive Data Recovery Tool does not impose any kind of size limitation to recover data. Is it possible to run this tool on Windows 10 to recover deleted data from USB Drive? Yes, The software is designed in such a way that it can restore and recover deleted data from USB Drive and can be operated in any version of Windows OS. How to fix ‘You need to format the USB before you can use it’ error? USB Drive Recovery Tool is an eminent tool to fix all the common errors related to USB Drives. It performs recovery of all the lost data items after formatting the USB drive. Do I need technical expertise to operate this utility? No, The USB drive data recovery software comprises a simple and highly responsive Graphical User Interface so that, any user can operate it without any hassle. How much time will this tool take to recover corrupted data from USB Drive? The USB flash drive data recovery software performs recovery of corrupted data from USB Drive in the least possible time. However, the total time taken in data recovery depends upon the amount of data. Does this USB flash drive data recovery tool support recovery of data from an undetectable USB Drive? No, USB Drive Recovery Tool is not capable to recover data from an undetectable USB. In order to recover files/ folders from USB Flash Drive, it must be detectable and then, you can recover data easily using this software. The performance and working speed of USB flash Drive Data Recovery software is incredible. I have been blown away by the amazing Online Support you deliver and how you solve all the technical queries in no time. All other data recovery solutions offered by SysTools are highly reliable and that’s why I rely on and will continue to rely on your team for complete data recovery from USB Drive and other external storage devices. Lately, I was experiencing data loss issue from my USB Drive. I tried multiple online tools to recover lost data but, nothing works for me. Later, someone suggested me to use USB flash Drive data Recovery Software. Well, this tool works absolutely fantastic to recover permanently deleted data from USB drive Key and performs complete recovery instantly. I would highly recommend this tool to all users who are searching for a solution to recover USB flash Drive data. Step 2: Select USB and hit either Scan or Formatted Scan button. Step 4: Save recovered files from USB drive at any location.